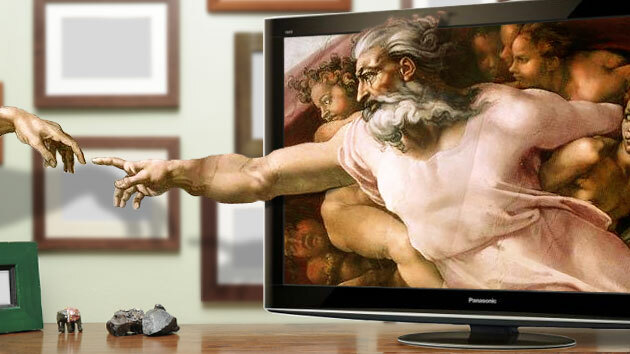 2017: A Big Year For Ground-Breaking New TV Technologies! The latest TVs introduced at this year's CES show in Las Vegas are making their way to the public starting this month, and Video and Audio Center wants to give you a look at just a few of the amazing innovations and technological advancements in home entertainment now arriving at our showrooms. This year Samsung will debut its new QLED Series TVs — and as usual, Video & Audio Center will be among the first to offer them to the public. The new QLED TVs features a more refined quantum dot technology with better color accuracy and sharper brightness than ever before; combined with the TV's 4K HDR image, Samsung has produced a truly astounding and lifelike picture that truly needs to be seen to be believed. 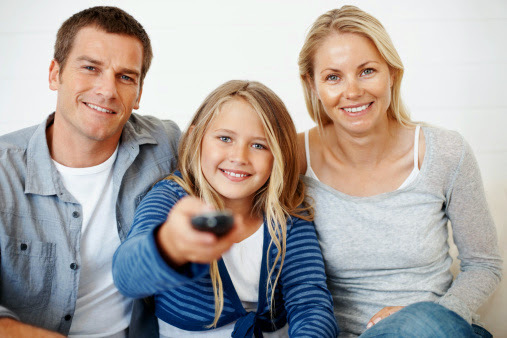 Samsung is also making home entertainment more integrated, seamless and easy to use with their new Samsung Smart View App, allowing users to find their favorite shows, as well as control the “regular” TV functions. Video & Audio Center is among the first in the country to offer the new line of Samsung QLED TVs for sale, call or visit your local Video & Audio Center location for more details or to experience Samsung's latest in one of our showrooms for yourself. The Sony Bravia A1E Series—using Sony’s new OLED technology will also be released later this month with the 55” model. One major breakthrough is the dynamic advancement made in the sound the A1E Series delivers. Sony has built the TV speakers directly into the glass display itself, projecting powerful sound from the entire display—significantly improvong the sound while also enabling the screen to be incredibly thin and the design to be incredibly sleek. But its’ the picture that really shines with Sony’s new flagship A1E Series. The new OLED technology brings true reality to life with perfect blacks and deep, vibrant colors. In all, each of the over 8 million self-illuminating pixels are precisely and individually controlled by the X1 Extreme™ processor giving Sony's A1E OLED TVs exquisite, unprecedented contrast and clarity. 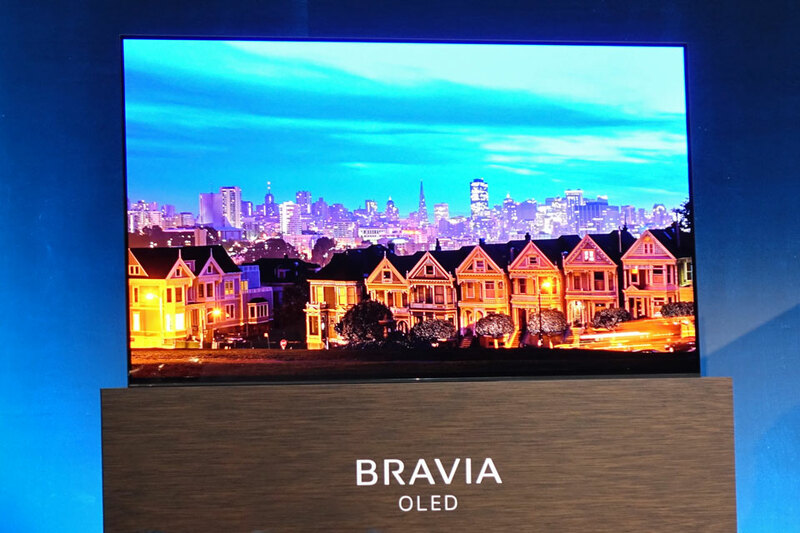 Video & Audio Center is also one of the first in the country to offer this ground-breaking new line of Sony Bravia OLED TVs for sale; call or visit your local Video & Audio Center location for more details or to order yours today. 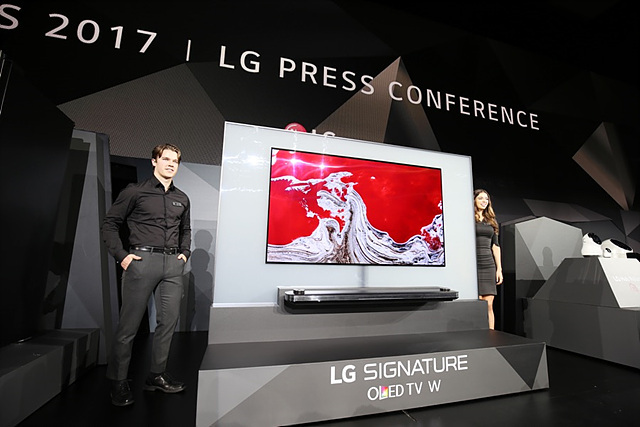 2017 will also see the release of the "game-changing" new LG OLED Signature W7P 77-inch TV, introduced during this year’s CES show in Las Vegas. Overall, LG is releasing several new models, including technological and design advancements to their C7P, E7P and G7P models, but the hit of the CES Show, and winner of the INNOVATION AWARD is the W7P OLED TV. 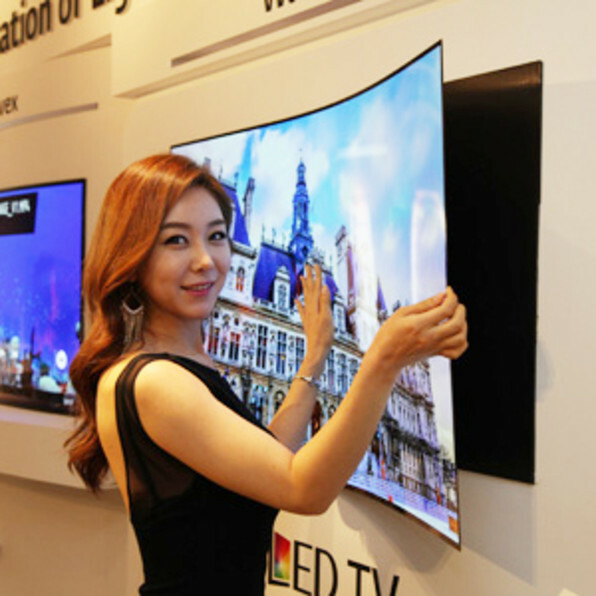 The W7P is being called the “wallpaper TV” as LG has produced a thin, extremely lightweight and bendable screen by removing the TV’s internal speakers, ports and electronics from the TV and placing them into a sound bar hub which connects to the TV with a thin ribbon-like connection. From brilliant brights to deepest darks, the new LG OLED TVs, unlike other 4K televisions, optimize the picture scene-by-scene, making them the ultimate expression of a cinema-quality experience in the home thanks to Active HDR with Dolby Vision™. The Dolby Atmos® audio is just as impressive, creating sound that can appear to come from anywhere; with LG OLED TVs, audio now becomes an incredibly realistic, immersive experience. 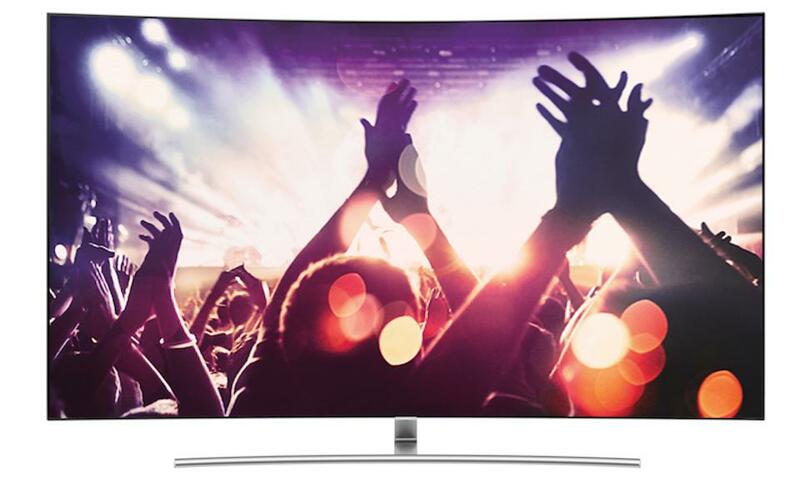 Video & Audio Center will once again be the first in the country to offer the new line of LG OLED TVs—including the amazing W7P model— for sale, so call or visit your local Video & Audio Center location for more details or to order.